On May 4th, 2016 at 11:35 am I delivered a daughter, wrinkled and beautiful, and lifted her into my arms. We named her Eden Sarah. Eden means delight and Sarah was chosen after my great aunt Sarah Durksen, a woman of faith who had a deep influence on my life. I was 41 weeks and 2 days. When I pulled her out of the water, I thought, “Oh there you are”. She looked exactly like I had pictured her these last 9 months. She was born weighing 8lbs even and has a head full of her daddy’s curly dark hair and the most elegant, long fingers. She has shown herself to be a relaxed and calm baby who dislikes noise and prefers to quietly snuggle the days away. Basically the exact opposite of her older brother who was loud, intense, and loved activity from the moment he was born. We are happily hibernating at home, nursing, sleeping, and letting the new normal come slowly into our daily life. We took a weekend away, just the three of us, into the mountains. It was supposed to be just Justin and I, reconnecting before everything changes again. The weekend that it worked for both of us to be off work ended up being difficult one to get a baby sitter for so we decided to take Merek and make it a family event. As I told my friend yesterday, you can do more with a child than people try to tell you, but it just takes more energy. “It takes more spoons? she asked. “Yes, exactly.”, I said. Being 35 weeks pregnant takes more spoons as well, at least for me. I told Justin I wanted to be outside. I wanted to sit in the wilderness somewhere and stare at trees for a while. I wanted to drive where I could see massive mountains and listen to birds sing in fir trees. Just because you have children growing up around you and inside you, doesn’t mean you aren’t still fundamentally the same. 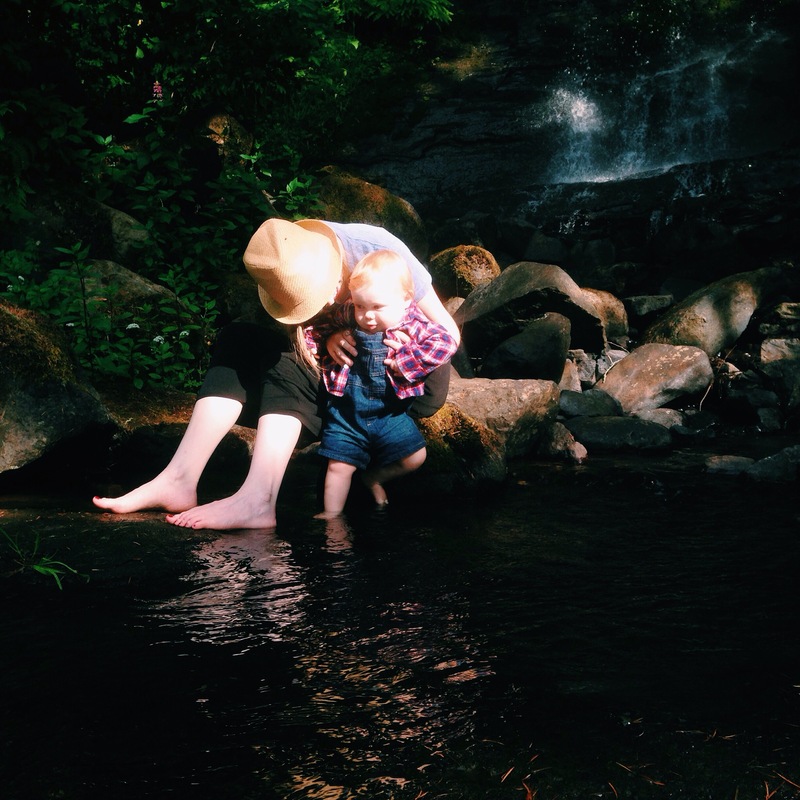 They say motherhood changes you, but not the basics, okay? So if you are like I was and are terrified that having a child will push you into a bizarre, blank caricature of yourself that is obsessed with cheerios and what color the diaper contents were today, rest easy. It’s not that dramatic. I still like to be spontaneous, drink hot tea, read for hours, and I still want to sit and stare at trees, even though I don’t get to as often. The main thing that changes is that you don’t get to be so obsessed with yourself and what you need, which is never a bad place to grow, I imagine. You get to be selfless every day, all the time, even when you are in a bad mood. We did drive and stare at mountains and I did hear birds sing. We hiked along a creek and Merek ran, and “ooohed”, and tried to throw himself off the bank into the water at every chance he could. It was perfect. We went on spontaneous exploratory trips to find wild places that ended up being covered/closed/inaccessible because of snow, but got out to enjoy the landscape anyways . I like snow. Merek, we discovered, is terrified of it and views it with deep distrust. Some Canadian he turned out to be. We attempted a museum to be good educational parents, which was only partly successful because all Merek wanted to do was be outside, running around the museum grounds and happily poking sticks in their little landscaped streams. Justin stopped whenever I wanted and let me look at trees and sit by rivers and breathe. We ate food I didn’t have to cook and cute, hole-in-the-wall places we happened upon. It was not all idyllic though. One evening, after our afternoon hike and supper, it had become too cold to spend more time outside but not late enough to head to bed. We assumed shopping would be our best bet, only to discover, after wandering around for several hours that everything closed early. Winter hours? I was so cold and Merek was very tired of his carseat and was screaming in the back. “I just want a cup of tea”, I pleaded. Yelp revealed that the first 10 coffee shops listed were already closed. I found one, far down the list, that was still opened. We drove around for about 30 min looking for the café only to discover no parking and standing room only due to a Celtic Music event they were hosting. If Merek wasn’t along we would have parked farther away and squeezed in to join the party, but holding Merek in a crowd of swaying hipsters seemed overly ambitious even for us. My pregnant self was almost out of spoons. I found a Starbucks, farther down the list that said it was open. We drove around for another half century looking for it, only to pull up to the doors and find it closed. By this time all I could think about was that elusive cup of hot tea. “I need a cup of teaaaa”, I moaned. We found another Starbucks that promised us it was open later than the rest and drove another 10 minutes to find it. It was open. Halleluiah. And there was lots of space and empty leather couches. I breathlessly ordered the largest, sweetest London Fog they could give me and collapsed into a chair, imagining Justin and I softly chatting over our drinks while Merek sat tiredly on the couch and played with his new puzzle. No sooner had I sat down than I realized Merek was past the sleeply-tired stage and into the manic, over-tired stage. Probably brought on by spending the last 2 hours in his car seat. He promptly took each piece of the wooden puzzle and threw it over the back of his head where they clattered below tables and couches. Then he pulled the straw out of his drink and tried dump the liquid onto the floor. He pulled the little end table, screeching behind him, across the wood floor. This was all before Justin had even joined us with his order. My feet were swollen, I was still cold, and I just wanted to drink a cup of tea in peace. After about 5 minutes of Merek racing crazily from one end of the café to the next, bouncing off whatever he hit, Justin picked him up and I dejectedly followed them out to the car where we headed back to our motel room for the night. I drank my tea on the motel bed while Merek ran off his manic hyperactivity in circles around the room. Having children doesn’t mean I don’t like tea anymore. It just means that sometimes I don’t get to sip it by the river or in a quiet café like I really, really want. I sip it on a motel bed with an overtired toddler sneaking in the bathroom to empty all the little free cosmetic bottles into the toilet. As I told that same friend yesterday, that doesn’t make me unselfish or heroic, it just makes me mother. A unselfish mother would have probably been playing with her toddler, not sipping tea on the bed while he snuck into the bathroom. 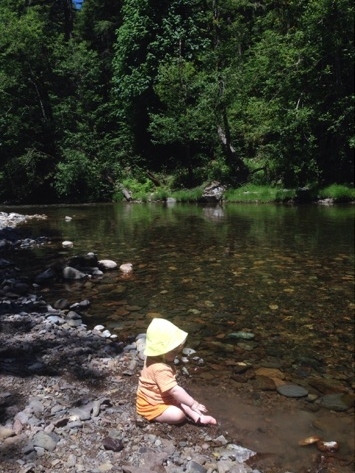 On our way home we stopped at a favorite summer swimming hole in the mountains to let Merek throw countless rocks into the river and I sat in the wet sand for the short thirty minutes we had left. The moss was damp and warm in the sun. Someone had thrown an ugly, outdated TV down the bank, but the trilliums and violets were blooming around it and the air smelled like spring. I thought about the next few months and the sleepless nights that are coming up along with marathon nursing days and two children in diapers. I thought of all the unheroic, normal things I would do for the sake of my two babies just because I needed to. I thought about all the horrible things happening around the world and how I could make a difference. This is why I knew I needed nature. To think and pray while filling my senses with beauty and order that I was not responsible for creating or maintaining. It is strangely comforting when you feel like you are always responsible and always maintaining to realize that along river banks and mountainsides there is moss and wildflowers, growing and blooming and being beautiful without your help. Ten minutes later we walked up the bank and finished our weekend with supper at the local Mexican restaurant and then took Merek home to his own bed. I drank a cup of tea in peace that night and thought what a gift it is to drink tea in a warm, safe house with my baby asleep in the next room. A gift, not something I deserve or a right I possess. Now when I have trouble sleeping at night I remember the mountains and the blue-green river and I think about the violets and how beautiful they are even beside a broken, abandoned TV screen. And I remind myself that my own life doesn’t need me to be heroic and unselfish and full of energy all the time to make it beautiful. Then I turn over and I go back to sleep. 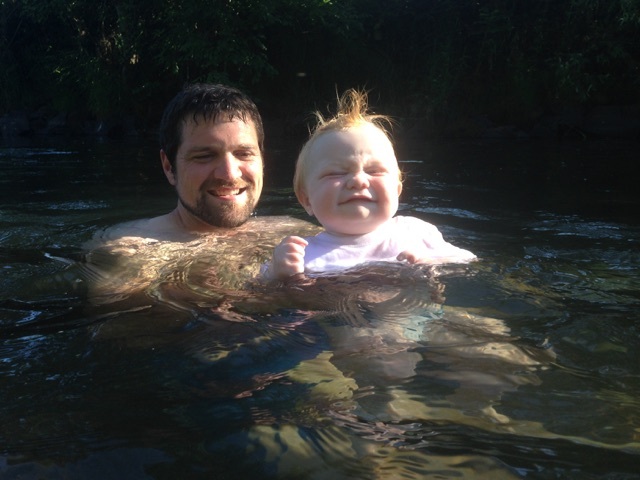 A few months ago I read over the labor and delivery notes from a hot July day in 2014. I had my midwife print them out for me so I would never forget the details. The notes are cryptic, medical, and to the point. It doesn’t mention the exhaustion on my face as I neared the end after five days of labor. It doesn’t note the wry smiles as Justin and I passed sarcasm and jokes between contractions. There is no mention of the deep place I went as each contraction came or of the limp relief when it left. It can’t hold more than the bare details; fetal heart rate, position of baby, what I ate and drank, where I was laboring. But it is enough to take me back and all those small details are there, hidden in the memories. I don’t remember fear, that is, until I get to the very last few lines. Only 15 minutes, the notes declare. There is more cryptic charting. The fetal heart rate suddenly doesn’t look good. There is mention of oxygen administered, more worrisome heart tones, and a slight urgency to the words. It is professional and you might not even notice anything too alarming as the casual reader. There are more memories there for me too, between those last few entries. There is no pain here. There is only fierce determination and deliberate mental calm as I used every last ounce of energy I had, after so long, to help my baby. Under all that control though, I feel a clawing fear that I don’t even allow myself to acknowledge. After Merek is born I laugh, I cry, I celebrate, and I am so exhausted I can’t even lift his beautiful little screaming self. Over the next year I celebrate how much I accomplished in those endless 5 days. I remember all the beautiful, intimate moments and how laughter got us through. I don’t look at those few, fleeting moments of buried terror until I am nearing 30 weeks with this pregnancy. Suddenly, they are all I can think about. Suddenly they are causing me to catch my breath as my heart pounds and my hands feel clammy. “Oh, hello, did you think you could pretend I never existed?”, the fear asks. I am an oldest child. I am an idealist. I have always believed I have what it takes. 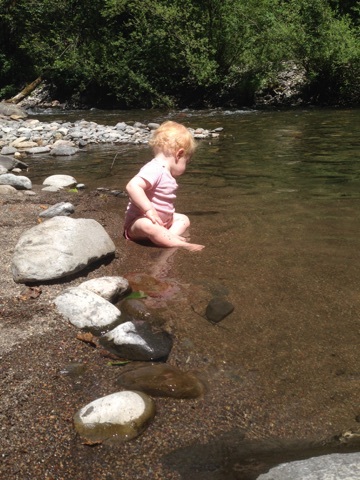 That reality of knowing I was not able to control the health of my baby undid me. I controlled it so well in the moment, but underneath was my dread and debilitating powerlessness. For the last few months I faced that wall of anxiety and stopped short. I could see no way around. I could not face that unpredictability of life vs death again. I. could. not. Most of them clucked sympathetically and told me, “Yes”. Not everyone had the same reason though. For some it was pain, the magnitude of the process, the fear of complications, etc. The unpredictability is what they all faced in some form or another. “How do you deal with it?” I ask. Here the answers get even more vague and varied. Every woman had a different journey through to peace and acceptance, I found. Like birth, it seems, this is every woman’s own unique journey and they all seemed to think that the suggestions they had were not as helpful as a simple, “You will get through this too, don’t worry”. I was annoyed they could not be more specific. I moved forward because you have to. You have no option. Weeks are flying by and the time is being accomplished that you should be delivered, to use the biblical language. I prayed. I re-read books I thought were just a first-pregnancy necessity. I prayed. I went over all the good and beautiful things about bring Merek into the world. I laughed at all our labor jokes and looked at pictures. Then while I did dishes and folded laundry and took Merek for walks I listened to women tell their birth stories through my ear phones. Happy ones, sad ones, easy ones, hard ones, fast ones, slow ones, and even the sad, heartbreaking ones. It was here I broke through. I followed my own unique journey through the anxiety, as I realized that birth is unique for everybody and the big, constant thing about it is that it is always, always unpredictable. Always. That’s how it’s supposed to be. I can prepare and plan and do all the right things, but I still don’t get to choose, in the end, how my story goes. Life itself is exactly like this too, we just ignore it for most of our lives, burying the fragility and unpredictability underneath daily life, cliques, and denial. I realized that what makes labor and birth beautiful by nature is that this is one rare place in life we cannot escape that reality. It’s not the physical experience that is always wonderful or I would be excluding many, many women who feel very differently. I think I’ve come to accept that experiencing the overwhelming power and overwhelming fragility of life all in the same moment is why most women count, in the end, birth to be a miracle, no matter what the outcome. As I read through those notes again today, I still caught my breath as I neared the end of the page, but I didn’t feel the panic. I still remember how powerless I was, but it doesn’t make me afraid like it did months ago. I feel only wonder and joy. And I realized with overwhelming peace that the last entry was fully known by God before it was ever written and the next last entry, written under my name in two months’ time, is already known as well, so all I have to do is surrender. I barely focused on the next couple paragraphs and that silly sentence flashed across my brain for the next two days. I tried to tell Justin the same thing tonight, feeling some repentance was due me as well. He was sprawled out on the floor with Merek, coloring on one of those giant coloring pads that you get hoping it’s big enough your toddler’s crayons wont stray onto the linoleum. “Honey…”, I start from the kitchen. This is what happens when I try to be romantic while I am packaging leftovers and the last burrito will not fit into the yogurt container I am stuffing it into. I can’t even be remarkable when apologizing for wanting to be remarkable. I packed the leftovers into the fridge, but I did not do the dishes. I am twenty eight long weeks through the pregnancy of my second child, and even though I am happy to carry and meet my daughter, my body is decidedly not, this time around. In my mind’s eye, during my pregnancy with Merek, my body was constantly bragging like a four-year old, “Look what I can do! I’m amazing!” And I went around the entire nine month wondering what all the grumpy pregnant women through the ages were complaining about all the time. I never felt huge or clumsy and I slept great without special pillows. Now all the grumpy, pregnant women through the ages are my soul-sisters, my cheering squad, my kindred spirits stretched across time. In my current mind’s eye my body is sulking in the corner, arms crossed, furious that I dared to do this again, without asking her special permission. ”Pamper me or I’ll make you pay”, she says this time around. So I don’t do the dishes. I leave them for tomorrow. I don’t know if I have ever felt more like an unremarkable, giant cliché as I do these days. I am the swollen-footed, giant, beached whale that is too tired to push herself off the couch even though her suburban toddler is drawing on the wall again with his Crayola crayons. My 20-year-old self would have just shivered a little if she could read blog posts in the future. All I know is that when I dreamed of “Standing in a Wild Ocean Life”, I had no idea how cold and windy it could actually get. What I was picturing back then was not scary. Yes, it was exhausting, rewarding, and “stretching”, in the way us good ol’ evangelical kids used that phrase, but it was big. Big and safe. I was asking for what I wanted and what I thought would be best. Ministry was safe. 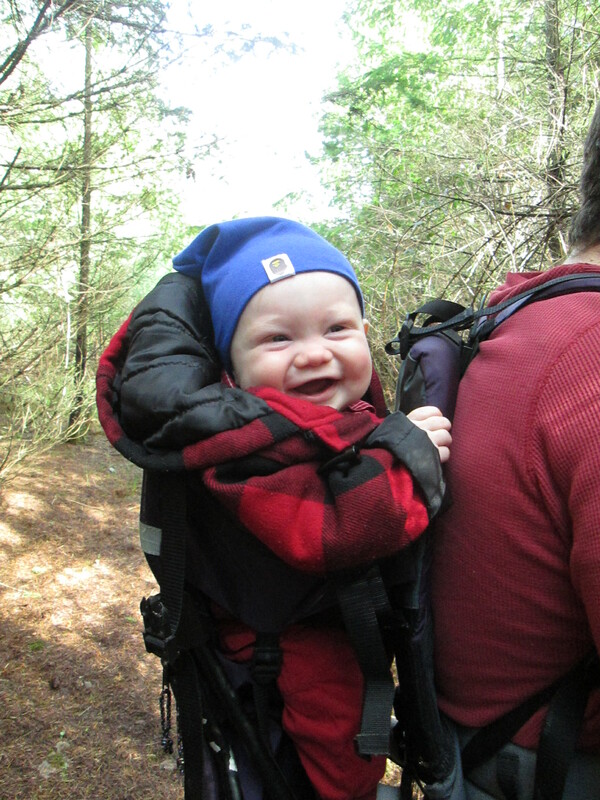 Adventure, since my earliest memories, was safe. It was spiritual and it was safe. This is terrifyingly unremarkable and still very exhausting, without all the bells and whistles and recognition. This is small and therefore scary. I’m scared to be small. 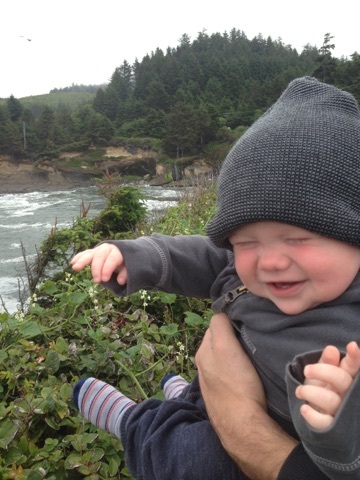 I think I was hoping for the Pacific-Northwest , you know. Sitting in a thick, chunky sweater on the beach by a driftwood fire, drinking strong coffee with my other hipster friends. This seems more like the Bering Sea, not as cool, but still very cold and hard to navigate. I thought it would be fun to share some of my favorite books of this spring/summer. The majority will be fiction since that is the cycle I am in right now. (All of you lifelong bookworms know how the seasons change) I am shying away from Christian non-fiction right now for personal reasons. I couldn’t read one more book, no matter how GOOD and inspiring it is, that had nothing but answers and solutions. I need to leave space for the unanswered questions in my life–so for the time being I read stories instead. *As a disclaimer, I do not endorse these for everyone. I have a very clear individual sense of what I can and cannot read. I know when I have to put a book down because the “ugliness” it describes is too much or is in violation of my conscience. You have to research what you read and use your own discretion for your conscience and situation. 1.) 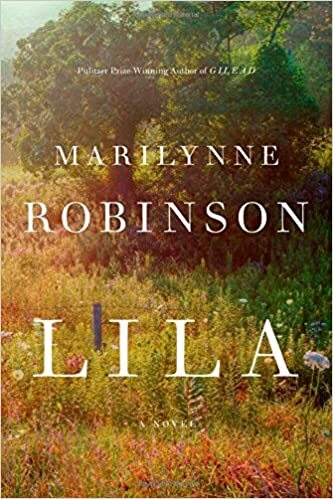 Lila, Marilynne Robinson. This was my favorite book this year by far. It is a beautiful, haunting story full of unanswered questions, yet clear hope and love. The two books that proceed this in the series, Gilead and Home, are also amazing, but I think this was my favorite. 2.) 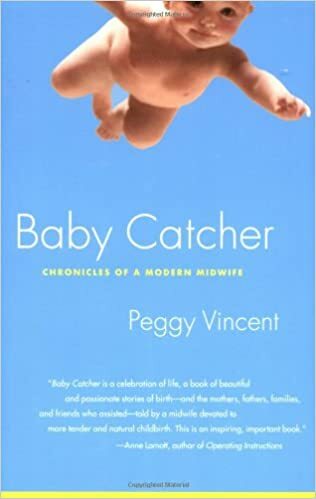 Baby Catcher: Chronicles of a Modern Midwife, Peggy Vincent. Funny, engaging stories from a modern midwife. I laughed out loud and cried too. 3.) East of Eden, John Steinbeck. This came close to rivaling Lila as my favorite. It was definitely the most surprising. This was one of those books on my “ought” to read list. You never know if you will finish that type just relived you can say you read it or actually discover you genuinely love it. This was the latter. *This book has the most matures themes on this list. Not recommended for teens. 4.) 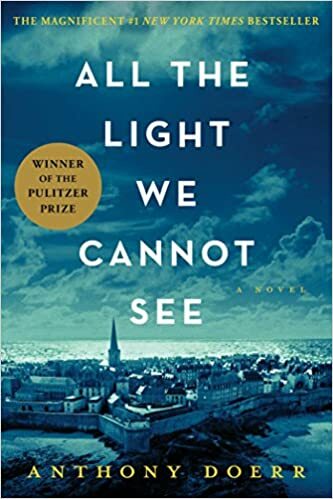 All the Light We Cannot See, Anthony Doerr. Most popular book I read this summer. I wanted to love it so much, and I did. Just not as much as I wanted to. It was described as a “enduring love story” , which threw me off. I was unconsciously waiting for love story. 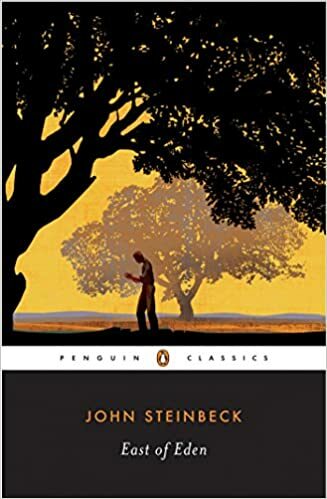 I think if I would re-read this again knowing it is a book about how lives intertwine during hardship and war I would love it as much as I wanted too. Such beautiful writing through out. 5.) The Select Journals of L.M. 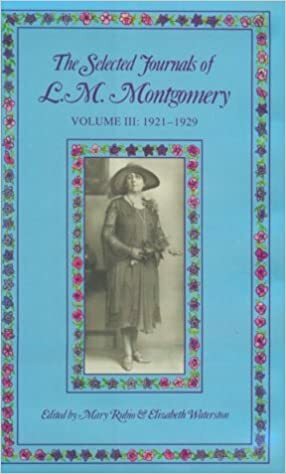 Montgomery Volume III, L.M.Montgomery. You can ignore this one unless you are an L.M. Montgomery fan. These are hard to find in the States so I was overjoyed to find one at my local used bookstore. I found this fascinating as only a die-hard fan would. 6.) 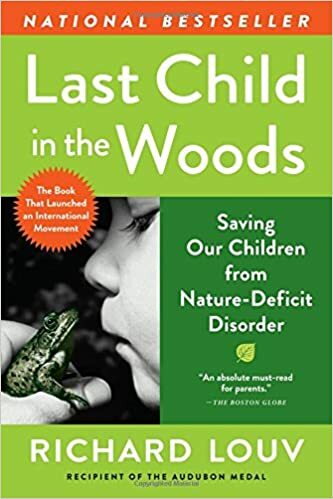 The Last Child in the Woods: Saving Our Children from a Nature-Deficit Disorder, Richard Louv. I am not finished with this one yet but so far find it FASCINATING. 7.) 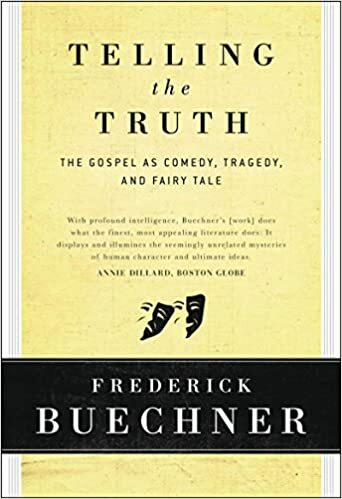 Telling the Truth: The Gospel as Tragedy, Comedy, and Fairy Tale, Frederick Buechner. This was a re-read but I found it meaningful for what I am working though in my spiritual journey. Fredrick Buechner is the doubting preacher, the theologian with more questions than answers. Sometimes you just need to know you can hold faith and doubt in the same hand for a season and it’s OK! I also read two more of his books this year Telling Secrets in the Dark, and The Magnificent Defeat, both collections of sermons. What Alice Forgot, Liane Moriarty. 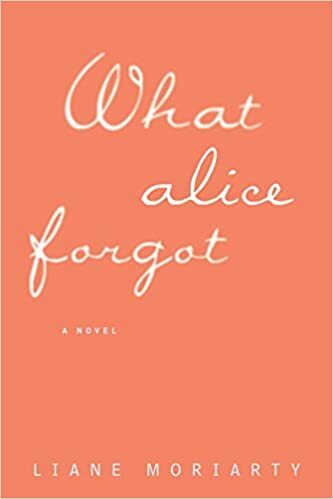 I actually read this book last year but it gets honorable mention because I read three other Liane Moriarty books while I was sick this spring and none were as good as What Alice Forgot. This book will speak the most to married women between the ages of 25-60 🙂 Fun, light story but with deep undercurrents. * this book also deals with mature themes, but is not explicit. 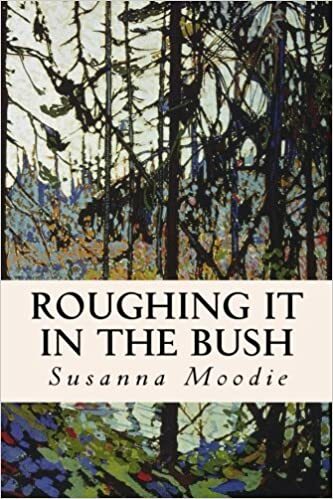 Roughing it in the Bush, Susanna Moodie. If you like Canadian history this is a must read. If you have no interest in that subject it is still a classic and has witty, charming observations from a early Canadian settler’s wife. And no, I did not read To Set a Watchman this summer. Some obscure time from now I will quietly pick it up and read it through. Quietly. Once all the loud voices have hushed.